Home / What is the difference between a Windows Phone and a Smartphone? / What is the difference between a Windows Phone and a Smartphone? by Sunil Jadhavar on March 05, 2017 in What is the difference between a Windows Phone and a Smartphone? Are you in the market for a new smartphone? Are you curious to know more about smartphones and Windows mobile phones? Then look no further this guide is exactly what you have been searching for. If you are shopping for a new smartphone, especially if you are choosing your first smartphone, then you might have many different questions regarding smartphones and how Windows phones play a part in this selection. You might even be asking yourself… What is a smartphone? What is a Windows phone? Are all smartphones Windows phones? Are all Windows phones smartphones? Listed below are the answers to these questions. A smartphone is basically a wireless computer that can make calls and fit in your pocket. Smartphones are slowly replacing their basic predecessors which were usually limited to sending and receiving text messages, making and receiving calls and depending on the phone you may even have the option of playing a few basic games that came pre-installed on the device. A Smartphone can do all of these things and a whole lot more. A smartphone can access and search the internet, it can connect to email and social networking sites, it can record videos, take pictures, give precise driving directions using a built in GPS, etc. and if you need or want it to do something else in addition to these things most smartphones have access to thousands of free applications which can be downloaded to extend the phones functionality. 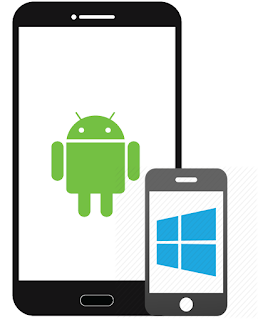 A Windows phone is a smartphone that utilizes the Windows Phone Operating System and as such its software is developed and maintained by Microsoft. Windows phones are one of the more popular smartphones available in the world today and are one of the top competitors in the smartphone market share. Are all Smartphones Windows Phones? Nope. 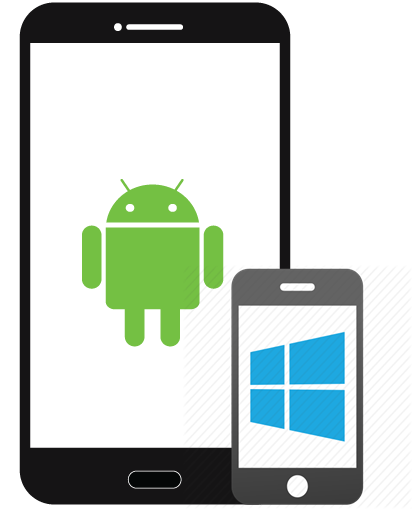 Windows phones are amongst the more popular types of smartphones available today but not every smartphone utilizes the Windows Operating System. At the moment some of the most popular and successful OS (Operating Systems) in this very competitive market is the Apple OS which is utilized by Apples ever popular iPhone, Microsoft’s Windows Phone OS which can be found on smartphones produced by many different manufacturers and is the primary smartphone platform for smartphones created by Nokia, the Android OS by Google (also available on many different types of manufactures), and the Blackberry OS for Research In Motion (RIM)’s Blackberry smartphones. Are all Windows Phones Smartphones? You can probably answer this question by now… are all Windows phones smartphones? The answer is yes! All phones that currently run on the Windows Phone Operating System (formerly Windows Mobile and PocketPC 2000) are considered smartphones. 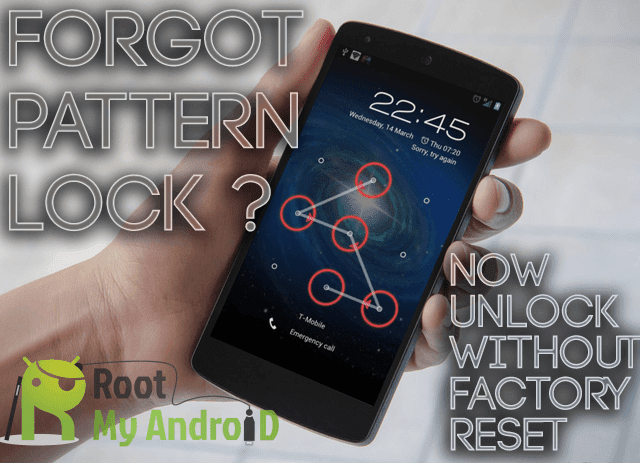 So if you are in the process of choosing your first smartphone or choosing a smartphone Operating System a smartphone utilizing the Widows Phone Operating System will be among the smartphones available to choose from. I hope that you found this guide about Windows smartphones helpful and informative. If you enjoyed it then don’t forget to share it by clicking the Facebook Like and Google + buttons below and don’t hesitate to explore some of the other articles on the site. Thanks for visiting and I hope that you have a fantastic day. Tags # What is the difference between a Windows Phone and a Smartphone? Labels: What is the difference between a Windows Phone and a Smartphone?